For better SEO encourage more customer reviews! Discover how customer reviews help build trust and get website prominence in search results. Discover the benefits of user-generated content and social influence. The Prime aim of any website is constant engagement of the user and encourage them take a desired action. That might be to – subscribe to services, buy products and click on ads to get impressions. In numbers – sales are directly proportional to the visitors/traffic on website. That said; in theory it sounds easy – just get X number of visitors and there you are minting dollars? Well, no! Even websites having a lot of traffic fail to get users to take a desired action – there might be various reasons. One of the most prominent is not having engaging content, authority and relevance to a visitor’s need. Here SEO comes to the fore; optimizing all your online resources/assets with one goal – to build trust, authority and relevance, resulting in a higher number of qualified leads, traffic and sales! The web and search engines evolved from ‘back-links’ to now ‘social engagement and user-generated content’. The days were over when SEO was all about getting back-links (Perhaps, it was never only about back-links). Now, it is all about user experience signals and in-depth content. Search engines sort results based on bounce rate and click-through-rate (CTR), measuring how the visitor interacts with search results. It measures page’s relevance against search term based on “dwell time” time visitor spends on a page and “click-through-rate”. Focus should be on – Increasing the CTR and reducing the bounce rate. It can be achieved by – Enhancing user experience; and adding unique, fresh and relevant content. How to convey positive signals to search engines for these two major ranking factors – 1) User Experience and 2) Unique, Fresh and Relevant Content? We have to keep in mind that search engines measure it checking the bounce rate and CTR of a page for the search term. User Experience + Fresh Content = User-Generated Reviews. By encouraging users to share their experience, provide feedback or write a review for a product/service or website. Positive reviews help increase CTR and reduce the bounce rate. It engages the user, builds trust and increases reliability of the brand. 90% of buyers read reviews before buying or visiting a website with intentions to buy a product or subscribe to a service. There is a considerable increase in dwell time in sites having positive reviews. 30% of users are likely to spend 25% more on a website/product page with excellent reviews. Almost 75% of buyers take action only after reading reviews. Customer reviews boost search rankings by 10%. Feedback and reviews matter for a website, but to use it judiciously for SEO is the key. User-generated content in the form of reviews and feedback is helpful getting fresh/unique content for website and creating a relationship with buyers. 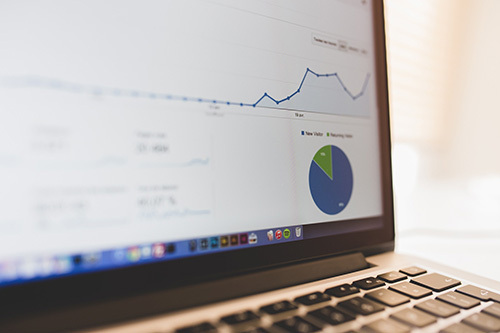 Search engines take cue from the user reviews to rank websites and with constant and targeted traffic, there is a greater chance of getting qualified leads. Social influence hugely affects buying decision and positive customer reviews help sellers build trust and reliability. Before buying product buyers look for what others are saying about a particular product or seller. Decrease bounce rate: As discussed above, it is one of the most important factors in SEO. It is critical for a website to have enough engaging content. Positive reviews and fresh user-generated content adds to the product value and encourage users to engage and share their experience thereby increasing their dwell time on the website. More user-generated content:Reviews are a great way of generating fresh and unique content for your product page or website; content which is more influential to new customers. Best reviews that are shown at the top and on search engines attract new visitors to the website. Reviews help creating relevant, customer experience and opinions get higher value in terms of SEO. Higher numbers of customer reviews positively affect SEO and organic rankings. Build Trust:Customer insights and opinion about a product is critical for a brand to build a long-term relationship. Reviews, customer suggestions and concerns if met effectively can help gain trust. Those reviews with constructive criticism or buyer’s concerns that are not all positive if handled smartly can reflect the sellers approach and sincerity and improve customer experience. Reviews and constantly engaging with buyers are essential for social acceptance and creating a brand value, reliability and loyalty. Solid social proof: Encouraging sharing of reviews on every social platform will be more appealing as customers judge a brand’s or a product’s popularity based on other customer reviews and its presence on the social media. More Social media followers, more reviews, more traffic, and more trust. Positive reviews and ratings are a solid social proof and influence new customers by including reviews in social strategy to showcase the popularity of a product. Overall user experience, choosing right keyword and getting ranked for search terms takes the cake. SEO is one of the most critical aspects of product marketing and promotion and getting qualified customers/traffic to a website. User-generated content in terms of product reviews and ratings provides more opportunities to rank higher in search results. Google seller ratings and rich snippets showing reviews in search results helps increase the click-through rate directing qualified traffic to a website thereby increases conversions. 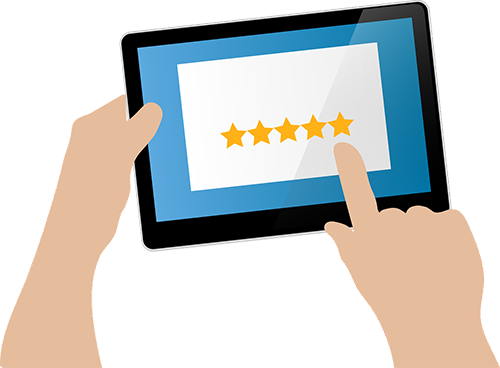 User generated reviews are a boon to sellers; there are several ways to add customer reviews to website or a product page and encourage customers to rate and review products. It is important for sellers to effectively request reviews from the buyers through personalized emails improving the overall shopping experience of buyers. Copyright © 2018 ReviewCaddy. All Rights Reserved.